The following is part two of Vikram Murthi's coverage of MOMA's To Save and Project festival, which programs newly preserved and restored films from around the world. To read part one, click here. In 1934, Ida Lupino contracted polio as a teenaged actress under contract at Paramount Pictures. Though she eventually made a fully recovery, her experience as a young woman in a public-facing industry led her to become a polio advocate and pushed her into the director’s chair. Fifteen years later, her first official directorial effort, “Never Fear,” about a young dancer’s experiences in a rehab clinic following a polio diagnosis, was released at the height of the outbreak in America. Though not an autobiographical portrait, Lupino’s intimate knowledge of the disease’s physical and psychological effects helped craft a clear-eyed, tender portrait that actively sought respect over pity. This year, MOMA presented a brand-new restoration of the film complete with a full theatrical run. “Never Fear” might be steeped in melodrama, but most of its sights are set on documentary realism. Lupino shot much of the film at the actual Kabat-Kaiser Institute for rehabilitation in Santa Monica and many of the actors in “Never Fear” were real rehab patients. While “Never Fear” primarily follows Carol Williams (Sally Forrest) as she adjusts to life in the clinic, Lupino has little interest in positioning her struggles as unique or remarkable relative to other patients at Kabat-Kaiser. Instead, she goes to great lengths to communicate that Carol’s environment is one of hope and vitality rather than sorrow. Cinematographer Archie Stout shoots Kabat-Kaiser as if it’s a bright corner of the world rather than a cold, antiseptic hospice one might expect. Still, Lupino affords her subjects enough dignity to realistically portray their undignified feelings surrounding polio. After she contracts the disease, Carol’s self-loathing causes her to lash out at nurses, other patients, and especially her fiancé Guy (Keefe Brasselle), her former dance partner who unfailingly stands by her side. She forces the breakdown of her relationship because she selfishly believes that no able-bodied man would live with a disabled woman. Meanwhile, Guy struggles to shift into the real estate business despite having no qualifications in order to support Carol, even though she doesn’t want to see him. After he flames out at the new job, he goes out on an ill-considered date with a secretary (Eve Miller), but she quickly and perceptively recognizes his naked attempts to use her to purge his true feelings for Carol. It’s mildly stunning to watch such mature emotions on display, especially considering some of the after-school-special qualities of “Never Fear.” The film shines when Lupino showcases the casual strength of polio patients and how they shut down Carol’s self-absorbed attitude just by being alive. She communicates disability matter-of-factly, offering the rehab patients independence and grace and never artificially solicits sympathy from the audience. A late scene featuring a wheelchair square dance radiates with joy precisely because it features marginalized bodies in a comfortable, intimate setting. “Never Fear” might be out to teach a lesson, but it does so in the least strident or didactic way possible. A portrait of immigrant Jewish life on the Lower East Side, Chantal Akerman’s “Histoires d’Amérique: Food, Family and Philosophy” splits its time evenly between lengthy monologues about emigration or assimilation and Borscht Belt-style comedy. Some of the film’s actors include Eszter Balint (“Stranger Than Paradise”) and her father Stephan, co-founder of the Hungarian experimental theatre company Squat Theatre; Kirk Baltz, who went on to portray the doomed Officer Marvin Nash in Quentin Tarantino’s “Reservoir Dogs”; and Judith Malina, co-founder of The Living Theatre, the oldest experimental theatre group in the United States. Them, along with many others that walk in and out of Akerman’s film, depict a slice of the Jewish diaspora in the Western world, one steeped in faith and family, pain and pleasure. 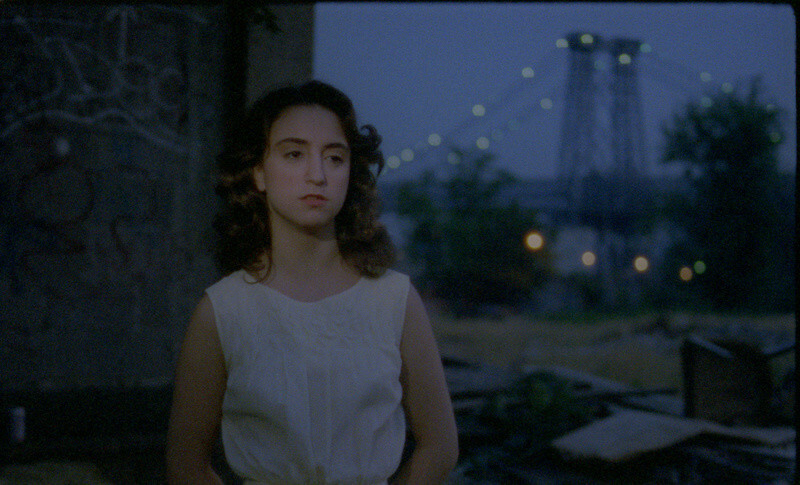 Akerman’s warmth and generosity pays off dividends here as she allows her actors to breathe life into their stories. All of the tales fall squarely into the classic immigrant experience, and yet the use of one-take direct address provides the stories with urgency and vigor. (It helps considerably that the film’s actors are clearly trained stage professionals well versed in delivering lengthy monologues.) The interstitial bits are hit-or-miss, and sometimes the jokes can overstay their welcome, but that itself becomes something of a recurring gag. (The film’s best “old joke”: What’s the difference between a psychotic and a neurotic? A psychotic thinks 2 + 2 = 5. A neurotic knows 2 + 2 = 4, but he can’t stand it.) “Histoires d’Amérique: Food, Family and Philosophy” sings when Akerman allows all her actors to share the frame in the final act. Here, the stories and the comedy meld into a cohesive whole that sustains an entire community. Food, family, and philosophy are just the tip of the iceberg. Lee Man-hee’s “A Day Off” never made it to Korean theaters in 1968 because the film fell foul of the censors for depicting such gloomy topics like abortion and suicide. Forgotten until 2005 when the Korean Film Archives preserved a unique print, “A Day Off” has since been celebrated for its bleak, modernist aesthetic and its uncompromising depiction of poverty. Lee follows two lovers (Shin Seong-Il and Jeon Ji-Yeon) as they spend their Sunday trying to gather enough money for an abortion. As the man struggles to borrow or steal from his various rich or degenerate friends, Lee tours the seedy underbelly of late-’60s Seoul: bars, alleys, half-finished construction projects. A relaxant and a perilous distraction, alcohol becomes a binding force between strangers wishing to escape their present; a foolish late-night drunken excursion turns nightmarish without much effort. Meanwhile, the hands of fate seal tragic ends for the responsible innocents. A decidedly Antonioni-esque take on Korean melodrama featuring gorgeous night photography, “A Day Off” becomes a dark night of the soul as quickly as one might expect, but the despair will remain long after the lights go up.